Hi, I’m Emily Fitzpatrick. I have over 40 years of sewing experience with a background in business, color and design, initially sewing slipcovers, cushions and other home furnishings. Shortly after my family moved to Sonoma, California, I met a sales representative for oilcloth outside of Kay’s Fabric Store (Kay has since retired). 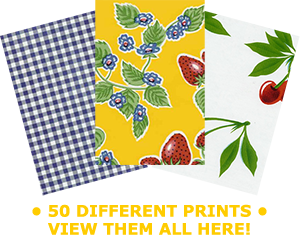 I thought that colorful, durable and easy care oilcloth products would be perfect for numerous applications and uses. 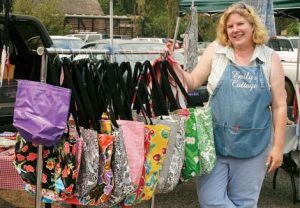 Cottage Home Decor began making and selling large market bag totes and tablecloths. I have since expanded to other sizes and products after listening to customers and friends, and still make slipcovers and cushions for local clients.